Monty Python references notwithstanding, here's something very special. Remember the articles and concept art concerning the game's combat? Well, here's a piece of the combat soundtrack, and, as an added bonus, some early colourisations of the three player characters in development! As with literally everything we upload during the game's development, the track isn't final in its current state, and of course, it'll be but one of many. The same goes for the characters. Anyway, we hope you'll enjoy the music! Click Here for the music teaser! Here it is, a collection of a few of the sound effects created so far. As with everything, the sounds too are subject to change and may not appear in the game in the same way that they do here. Please bear in mind that as these are sound effects, the base volume is rather high so be careful with those ears! This particular teaser contains sounds for two of the enemies that will appear in the game. As a bonus for those who missed our last "proper" post or simply don't follow us on Facebook and find this video elsewhere, there's a look at the Lawyer's moveset. Enjoy! So, here's the update that was supposed to be published yesterday... Ooops. As with any turn-based combat game, AAA will feature a variety of moves. Each character will have a basic attack that they always have access to, and then a selection of eight abilities, from which they can pick four. Bear in mind that even these facts are subject to change, as we will have to perform testing to see what is both challenging and fun. Anyway, have a look at the Lawyer doing its thing. As to what the abilities actually do, well, stick around and you're bound to find out sometime! So, at the time of writing, we have two general concepts for the Manager character, in terms of the general visual design. As you can see in the image below, we have one that looks more humanoid, with a second that's more rectangular, reminiscent of PC hardware itself along with a different take on facial expressions, the latter not using eyes and utilising classic imagery based on context. For example, rather than an angry face when hit by an enemy attack, it'll show the classic representation of swears one might see in works such as TinTin and Lucky Luke. So we want to know, which concept do you prefer? Bear in mind that these are just that, concepts, so things are subject to change with either design, but we'd like your opinion so let us know in the comments! So as you've likely caught onto by now, one of the many things our upcoming game is looking to poke fun of is the rampant greed of the video game industry. As such, the main protagonist is the CEO of a video game company. Today, we figured we'd show you some concept art of the fellow. On a more work-related level, we have identified the various items on the proverbial to-do list and while it's certainly too early to say how the final product will pan out, we're all optimistic about the development process. The usual disclaimer applies that this is all very early on and at this stage, we're far, far away from having the final appearances of any of the characters or other visual elements. To those uninitiated to hex-based combat games, last week's article may have felt somewhat esoteric, as there was no proper illustration to properly illustrate the matter. That being the case, here's a piece of early concept art to give you a clearer idea of how the battlefield actually works. To give a brief recap, everything regarding the movement of characters, their attacks and abilities are all based on the hexagonal grid system. For example, this means that a character with a movement value of four is able to move up to four tiles in this grid. In other news, we have resolved an issue that limited the size of our shirt prints. Now we have a full range available with the same full-size print that we use on our own shirts, in case you too would like to brandish a certain, quite fabulous (if we may say so ourselves) lemon. This week has been a touch more on the technical side, as we've been looking into how to configure our tiles, among other things. To explain, the battlefield that you might remember from the combat concept mock-up posted last week is made up out of a number of hexagonal tiles. 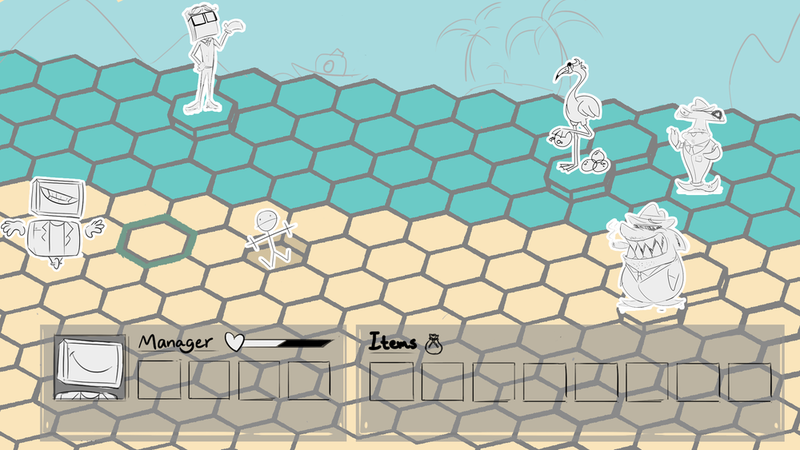 The characters and enemies then move and attack based on distances determined by the number of tiles. That is the most basic version of this type of turn-based combat battlefields, but we want our game to offer more than that. Hence we've spent a lot of time discussing how the actual battlefield itself will be actively changing during combat, in order to keep the fights more varied. A few examples we've discussed include benefits from being on high-ground, environmental hazards that come and go such as flooding, and various ways of messing with the tiles themselves. In addition, we've also created a storyboard for the introductory cinematic that, surprise surprise, will introduce the player to some of the characters and the plot. There's not much to show or discuss concerning this as it's all just hand-drawn ink roughs, so instead, you all get to feast your eyes on this coloured version of one of our enemies. You know the drill, the image is not final and it may not appear this way in the actual game. So, as previously mentioned in earlier posts, the game we're working on draws inspiration from various elements of turn-based combat games, and thanks to our artists, I now have a visual example to help, well, illustrate the matter. 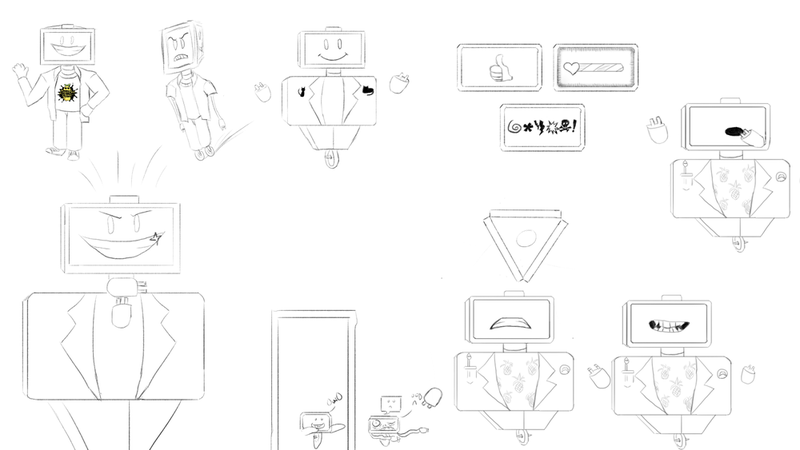 As per usual (and you'll likely see this fairly often in future posts) all of the art here is in very early concept stages, and thusly everything is subject to change. Disclaimer out of the way, let's talk a little about how the combat will work. The game could be said to have three distinctly different stages of interaction, these three being world movement, conversation, and combat. When the player encounters an enemy while moving around in the world, the game transitions into a combat phase, much like in the Heroes of Might and Magic games. Once in this combat phase, the player characters square off against the enemy in a turn-based manner, the player and the game taking turns to move their characters around the battle map, using abilities and attacking the opposing characters. As a reward for reading through all of that, here's the combat concept mock-up, featuring a guest appearance of Sir Placeholder the Stick Figure. Today, we're very pleased indeed to be bringing you some of the results of our work so far. More specifically, today we'll be taking a look at some character concept art, and yet more specifically still, a PR/HR manager type of character. As with our previous project, please bear in mind that concept art is not necessarily even close to the final version, so everything you see here is subject to change. The final character may look entirely different in every single way. With that said, we hope you'll find it interesting! Announcing the New Project & Lemon Curd Games Store! Here we are, the day has come where we announce our upcoming project and disclose the surprise mentioned in the last update. The surprise may have been spoiled somewhat by the title but hey, I've got to catch your eye somehow! After a process of drafting & reviewing submissions, we held a vote today where the winning project goes by the name of Allthamon's Amazing Adventure (tripple-A for short) which will be a colourful, humorous strategy game inspired by classics old and new, such as Heroes of Might and Magic 3 and the Darkest Dungeon. We'll be going through planning and research this week, but expect more tangible updates in the near future. "So, what about that Lemon Curd Games store", I hear you ask? Well, thanks to Design By Humans, we'll be bringing a wide range of shirts ranging from hoodies to t-shirts, phone cases, art prints and mugs! Due to a serverside issue caused by the site recently switching to new hardware, the apparel and accessories will take some time to solve some printing issues, so they're currently not listed on the store. The store design itself is very much a very, very early prototype as well, so the site's design is subject to change. Before we begin, we hope you've all had a Happy New Year and that you'll all have a great 2019! 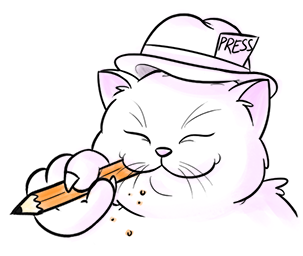 Poor pun aside, this is not a retrospective look on Cateau as a project (although that might make for an interesting article at some point), but simply a little shoutout to Jacklyn Pritchett at Jax's Reviews for taking a look at our game. Along with that, we simply want to remind you all that yes, we are still gearing up to start a new project soon. So soon in fact that it will be announced later this month. All good lemons come to those who wait. Kept You Waiting, Did We? Well today, we have a small, non-specific announcement for you. We have decided to undertake a new project during the spring of 2019, but at this stage, we have no particular details about said project. This is because of the fact that we're currently drafting ideas, which we'll be selecting a concept from in January. In short, stay tuned to the page, and expect updates in January. Until then, we wish you all happy holidays and a happy New Year! - Fixed the introductory logo not playing on some systems. The Lemon Curd Games logo should now appear, animate and play its sounds correctly. - Corrected a number of typing errors. - Fixed the credits not playing when the button was pressed or the game completed. - Various bugs causing characters not to appear on the screen should now be fixed. - Added text to correct a minor narrative error. Note: If your game doesn't update automatically, you can uninstall the game and simply install it again. This will not remove your save. Once the new update is installed, you can resume your old save just as before. If you wish to backup your save manually, go into the Cateau folder and copy the save.bin file and save this copy wherever you like. You can then import it into Cateau by simply pasting it into the folder. Cateau Hits 1,000 on Steam! Just a few moments ago, Cateau broke into the four-digit range, exceeding 1,000 unique downloads on Steam and over 2370 units distributed. Not only has Cateau been doing well on Steam, the Android version too has exceeded our expectations, reaching over 320 unique downloads at the time of writing. We never expected our game to have such a following or for it to receive such good reviews from our players. We have said it before and may end up saying it again in the future, but thank you all for your truly amazing support. In the wake of the launch of Cateau, players have requested that the images from the Gallery be made available for use as mobile and desktop wallpapers. Well good news to all of those who have asked, we have now launched an Extras page on our website that takes you to the downloads. Enjoy! Firstly, a quick apology for the somewhat outdated News feed on this page. It’s been a very busy set of weeks! Anyway enough about that, let’s bring this up to speed. As of 8 p.m. Swedish time on the 19th of October, Steam has finally resolved the bug that hampered our launch for 29 hours. Now no workaround is necessary, you can simply install the game through the Steam Store as intended. So if you haven't already, now is the time to give Cateau a go! On the 20th of October, over 1,000 licenses for the Steam version had been distributed! On the 21st of October, we released the trailer for the Android version of Cateau. And with that, the News section is current once again! 1. Make sure that Steam is launched and running on your computer. 2. Press the Windows key and the R key. This will bring up the command window shown in the picture. Now Steam should give you the option of choosing where to install the game, and once you have you're good to go. Massive thanks to Steam user Riedy for providing us with this solution in their review on our Steam Store page! We contacted Steam about the issue yesterday, so hopefully it'll receive a proper fix soon but until then, this solution works perfectly. Normally I wouldn't ask you guys to share this post, but it would be immensely helpful in this case as we had a troubled launch. Again, huge thanks for all of your fantastic support all along the way! SGC still has a few days to go, and we'll be there for every one of them, so we hope to see you there! Cateau Has Now Been Released! Available on both Steam and Android, Cateau is now ready to be downloaded! We'd like to give special thanks to all those visiting our booth and joining us for the countdown! There may be a slight delay before the publishing has finished going through, but it should be accessible through both platforms within the next ten minutes. Again, thank you all! You have helped make this journey something utterly unique for all of us, and we shall henceforth dedicate any lemons acquired in your honour. So on Wednesday the 17th, SGC will open for the year and Cateau will be released, meaning that today marks the one week countdown. As if to celebrate, another batch of our zesty custom items arrived - the bags! 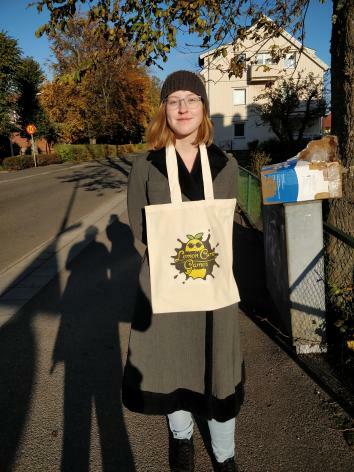 Why yes, featuring a stylish four-tone print, these cloth bags are sure to be the talk of the town, here modelled by Sara Jonasson, writer & creative director. For extra professionalism we left the ripped and torn cardboard box and the traditional camera man shadow. Well honestly, I'm out of witty ideas for headlines. Last weekend, we were notified that we have been nominated for the SAGA Award, which is a joint arrangement between Skövde Municipality and Sweden Game Arena, the folks that arranged the summer event we were at and won our current award from, as well as the Sweden Game Conference that we will be attending next week. The winner will be announced during the Award Dinner on Thursday the 18th of October, so the day after the conference opens. Regardless of who wins, we'd like to thank Skövde municipality and SGA for the nomination, as well as congratulate the other nominees. Stay tuned for more updates about us and SGC, more will be coming in the next nine days!